Does Your Desktop Phone Keep Up with Your Smartphone? It may be an old joke by now - the one about how “I have so many apps and features on my smartphone that I forgot I could use it to make calls.” But it still rings true. We get so caught up in all the things a smartphone can do that we forget that these devices are primarily a tool for communication - they connect us with others. It just so happens that nowadays, they connect us in a lot of ways. Can you say the same for your desktop phone? Are Your Desktop Phones Outdated? Your office phone system, likely the phone on your desk, still connects you to others. And when it went to VoIP, its capacity to communicate in new ways increased dramatically. 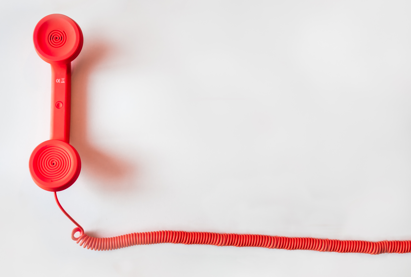 Are you getting the most out of your office phone? When was the last time you examined the possibilities of your business phone system? Let’s take a look at some of the highlights of the smartphone that started it all - the iPhone - and see how quickly we have changed our expectations of what a phone can do. It’s easy to forget that the first iPhone was introduced just over 11 years ago. The original iPhone broke new ground and established how all smartphones would be designed. It featured a touch screen with a popup keyboard and for its time, a pretty good camera. The sensors that allowed the view of the screen to change based on the way the phone was held wowed a lot of early adopters. Of course what really propelled this phone into mass acceptance were the apps - those developed by Apple as well as those developed by people around the world. As the iPhone progressed, it became faster and less expensive. It improved on things like camera clarity, location services and screen resolution. This, along with new features – like a front-facing camera – gave way to FaceTime, Skype and other video chat capabilities. One of the things new business phone systems provide is centralized communications. Regardless of the device you are using for a phone, all calls route through one number. It's a feature called “single number reach.” With this feature, your clients and customers only need to deal with one number, which can ring to your smartphone, your desktop or any number of devices. Single number reach capabilities also let you do away with having to leave multiple voicemail messages. Welcome to one number, one call and only getting one message. This feature is available through Mitel's unified communication services. Mitel’s instant messaging can streamline your communication dramatically. Instant messaging can get rid of a great deal of email, voicemail and missed calls. One of the best features is the ability to see who is at their desk and who may have stepped away. That way you don’t waste time trying to communicate with someone who isn't available. Often the answer you are looking for could come from any number of people in a workgroup, so if Greg is away from his desk, it’s easy to message Becky and get your answer right away. There are a lot more benefits of instant messaging for business, which you can review here. Just as your smartphone has evolved over time, so too has the fundamental technology that drives modern business phone systems. They can do many of the same things we depend on our smartphones to do, and sometimes they can do it even better. If you want to find out how modern business phone systems have been keeping pace with your smartphone, we can help you through it. With the help of cooperative contracts and service agreements from Sourcewell, your business can simplify its upgrading process and meet budget requirements when technology upgrades are needed.